[prMac.com] Raleigh, North Carolina - tagtraum industries is proud to announce beaTunes 2.0, a major update to their popular iTunes library management utility for Mac OS X and Windows. Working in parallel with iTunes, beaTunes can analyze any music library, fill in missing and fix existing information to generate better playlists. 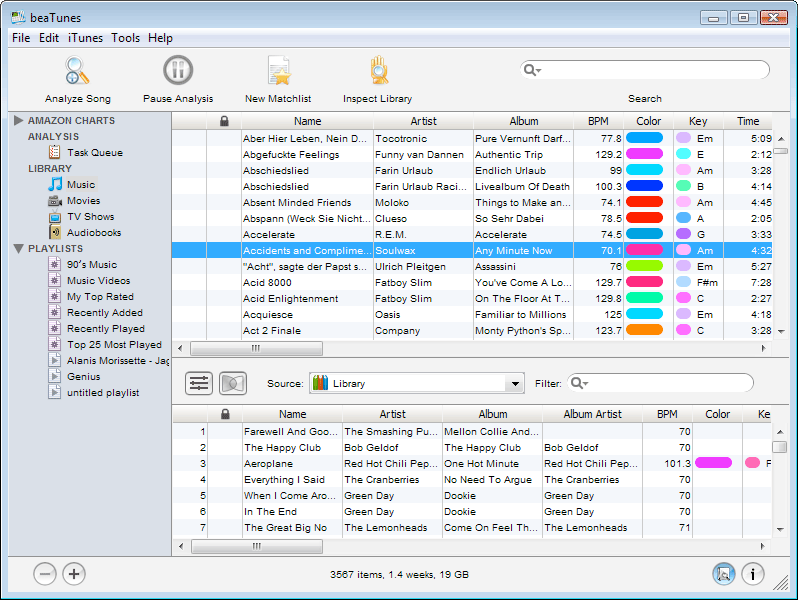 It can even help find the titles of tracks that have no artist or title associated with them. Build better iTunes and iPod playlists. By analyzing the songs in an existing library and using customizable rulesets, beaTunes is capable of building playlists of similar sounding music. It can analyze any number of tracks, and detect various types of metadata, such as beats-per-minute (BPM), missing artist or album information, detect language of the lyrics, musical key, as well as song color. Version 2 is a major update and features many improvements. beaTunes is much more efficient with memory, and able to deal with bigger libraries (analysis on Windows machines is much faster). 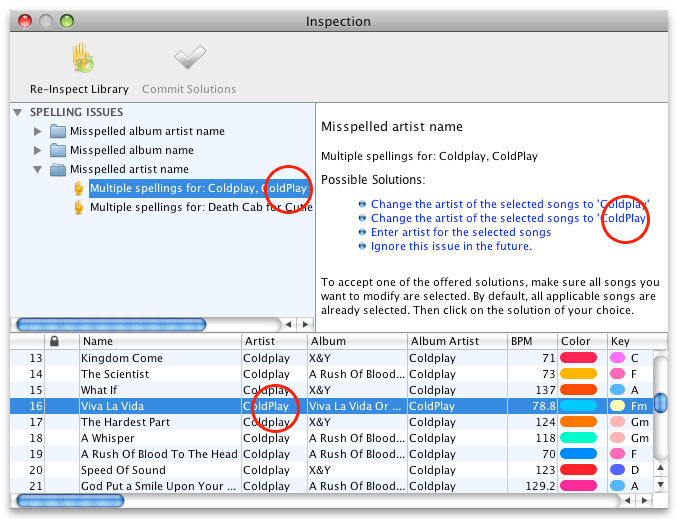 Particularly important for common users and music collectors alike, beaTunes sports additional inspections for fixing up library metadata. It also features a totally new musical key detection, which - along with BPM detection - is essential for harmonic mixing, a popular DJ technique. beaTunes takes the guesswork out of creating great party or workout mixes. It's perfectly suited for making mixes tailor-made for a particular mood or activity. And with its ability to directly control iTunes, beaTunes is an excellent compliment to any DJ's tool chest. beaTunes 2.0 is available for $31.95 (USD). An upgrade license for beaTunes 1.x users is offered for $11.95 (USD). A 14 day trial demo is available. The trial version does not allow users to apply one-click solutions to inspection issues. NFR licenses are available for media reviewers. Based in Raleigh, North Carolina, tagtraum industries incorporated is an independent microISV founded in 2004 by Hendrik Schreiber. Its main focus lies on Mac software, Java based solutions, architecture, implementation and optimization. Copyright 2004-2009 tagtraum industries Inc. All Rights Reserved. Apple, the Apple logo, and iTunes are registered trademarks of Apple Computer in the U.S. and/or other countries.